Hold Up: What Actually Happened in Sierra Leone's "Blockchain" Election? Hold Up: What Actually Happened in Sierra Leone’s “Blockchain” Election? "There was some miscommunication on our behalf..."
On March 7, Sierra Leone held the first presidential election using blockchain, the distributed ledger technology poised to transform our world. At least, that’s what we were told. That’s according to Agora, the Swiss-based blockchain startup that claimed to have facilitated the blockchain-based election. “Sierra Leone’s 2018 presidential elections, which took place on March 7th, represents the first time in history that blockchain technology has been used in a national government election,” wrote Agora in a press release distributed on March 8. Media outlets — including TechCrunch, Quartz, and yes, Futurism — covered it accordingly. But Sierra Leone’s election officials say that’s not what happened. The National Electoral Commission (NEC) is the “sole authority” on Sierra Leone’s public elections, and the group has gone out of its way to make it clear that it did not use blockchain in the March 7 election. So, what exactly happened here? Agora obtained permission from the NEC to act as “an international observer” at 280 of roughly 11,200 polling stations. Sierra Leone election officials recorded the paper votes as they would in any other election. Then, Agora’s team recorded those same votes on its blockchain. Later, it published those results on its website. On March 20, Agora published its own official statement on Medium attempting to clear up the situation. In it, the company first laid out the facts of its involvement with the election. 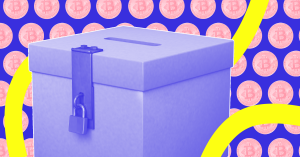 Then, Agora addressed where the controversy seems to have begun: a Medium post published on March 16, two days before the NEC’s first tweeted that blockchain wasn’t involved in the country’s elections. As Agora notes, the author of that post, Tamba Lamin, is the CTO of LAM-TECH, a tech consulting company that sponsors the Sierra Leone Open Election Data Platform (SLOEDP), a software platform designed for the collection and sharing of data about Sierra Leone elections (and apparently an Agora competitor). While we are unclear about the motivations of SLOEDP, their stated description as “an open source platform to facilitate free, fair, safe, secure and transparent elections” is directly competing or overlapping in nature with Agora’s technology. Furthermore, slides from a LAM-TECH public presentation on the electiondata.io website show clear conflicts of interest between our two organizations. So, was this “controversy” surrounding Agora’s role in the Sierra Leone election simply one election-recording company looking for a chance to paint a competitor as a liar? Or was Agora overtly trying to make it seem like they were more involved than they were? It might be a bit of both. There was some miscommunication on our behalf, and I think we learned a lot because of it. We made a few mistakes when speaking to journalists, and when we sought to clear it up, it was all too late. We got very excited about the technology and the way in which it could help people — like a lot of companies do in the blockchain space — and I think we came on too strong for the NEC. Gammar also said the company has hired someone to help them with its “PR game,” so that they present all future projects accurately. If there’s one thing the blockchain space doesn’t need, it’s unwarranted hype overshadowing the technology’s true potential.